What is normal? What is best? What is worse? "Normal" is very subjective and is unique to each individual. A question men do not ask themselves is "What is my standard for normal?" An even better question that men do not ask themselves is "What is my goal to increase my normal standard?" "Normal" is the comfortable routine that allows us to easily breeze through each day without TOO much harm or differentiation to the schedule or to ourselves. I challenge you to look at your life, as is, and honestly determine what your "normal" is. 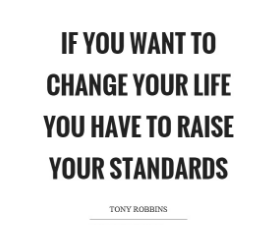 Then ask yourself, "Do I like my normal, or can my standard for normal get better?" The reason for this article is I've heard so many men say, "I have to get back to normal." after a break-up or an extended layoff from work or even a bout of sickness. I understand the desire to "get back to normal" because it's easy, and comfort feels good. Nobody ever says, "OK, now that that's over I'm going to go be worse." You have the option to, but you don't choose that because worse hurts, it feels bad. You also have the option to say, "I am going to Get Back to Better!" If you've just had your heart broken, lost a job, had the flu, or just had a bad night's sleep, you have the opportunity to make a distinct change in your life and "Get Back to Better!" Take a look at who you were during that relationship that ended. Are there any areas for improvement in yourself so that you can have a better, deeper, more passionate and intimate relationship next time? Look at the person who had the job that was lost. Could he be more proactive, complain less, stand up for himself more, or be less argumentative. Take a close look at the person that was lying in bed, sick. Could that person eat healthier, exercise more, or start taking care of himself as soon as there were signs of illness? I want to note that the changes I'm suggesting are not easy ones. Most men cannot just flip the proverbial switch and, tada, they're changed for the better! These are not simple changes but they ARE possible. So instead of "getting back to normal" why not give it a shot and "Get Back to Better!" Show Up or Stay Home! Do you ever think about how you're showing up in the world? Do you ever think about how you're showing up in your community? Do you ever think about how you're showing up in your mind and body? Probably the greatest lesson that I ever received from my mother was one which she would teach me quickly before I stepped out the door of our house every time. She would simply say, "Remember who you are." As a teenager and a young adult it would often annoy me to a small extent, believing she didn't trust me to be responsible. But it has been one of the foundational paradigms of my life that has brought me much success, given me confidence and made me the leader I am today. I'm no longer living with my parents so I don't have her to remind me to "remember who I am" every time I leave my house (even though she still does it when I visit home!) but I have happily taken the task of doing it for myself. Every day, before I do anything, I say to myself, "Remember who you are." This gives me a push to work out harder, to eat better, to love deeper and, most importantly, to SHOW UP as the best person I know how to be in every situation of every day. It has become Effortless and a habit because I've done it so much over the years. Over the past couple years I have evolved the thinking and feeling behind it, though. The words remain the same, because the feeling those specific words give me is so important to the process, but instead of remembering who I am I now remember who I am becoming. It gives me an extra edge over other people who don't have that motivation to be exceptional. Remembering who I WANT to be when I'm dealing with people makes me the Effortless Alpha I dream of being, and makes me SHOW UP, not only for me, but for my girlfriend, for my business partners, and very, very importantly, for my mother. Take a look at yourself...be honest...do you SHOW UP every day as the best version of yourself? Maybe give yourself a reminder to "Remember who you are." What if your NEED to be RIGHT is the reason everything is going WRONG? Have you heard the saying, "You can be RIGHT or you can be HAPPY"? Or perhaps, "You can be RIGHT or you can be RICH/WEALTHY"? Where in your life do you feel the need to be RIGHT? "You can be RIGHT or you can be HAPPY" in a relationship. For me, every now and again, I feel that need to prove that I'm right. That I finally remembered something that she didn't! But did I remember it correctly, or was I remembering it from my personal point of view? I could be right from my own point of view, but does that make me RIGHT? Surely it doesn't make me right from her point of view most of the time. So when I'm fighting that point is it worth upsetting her and spending a day, a half a day, or two days upset and disconnected? It's absolutely NOT worth that! We have a finite number of days on this planet and to spend it emotionally apart from the person or the people you love the most is absolutely not worth it! Check in with yourself when you get into that arguing mindset and you're completely in the fore-front of your mind. Do you need to be RIGHT or would you like to be HAPPY? All it takes is a moment of recognition, "Am I just fighting this point because of my feeling of my NEED to be RIGHT?" "You can be RIGHT or you can be RICH" in business. Where are you saying to yourself in your life, your business, or your job that it's difficult? "I can only make this much money in this position", or "I have no other talents that I can go and get another job". We can be whatever we want to be! I've done seven different jobs in seven completely unrelated fields and I've been successful in all of them! But in each one I got to a point I was telling myself I was RIGHT about my boss being a jerk, or having a dead-end job, or I could not make any more money doing it...until one day, doing sales, when I thought I was making as much money as I could, and the job kinda sucked but it was paying the bills, I was shown that I could make double and work even less! All it took was a little extra training from someone who was better at it than me, a little practice and the belief that I could do it. Then I showed myself I could do it! But until that point I was RIGHT! And I really wanted to be RIGHT that I could not make any extra money! I was subconsciously sabotaging myself when going into work every day because I wanted to be RIGHT that it was hard, that the job wasn't quite worth the money I was earning. So where in your life are you feeling the NEED to be RIGHT? Your mind is going to tell you, "Nowhere! I don't NEED to be RIGHT!" So ask yourself then, where am I not 100% happy? Finances? Relationship? I will guarantee you that where you're not feeling comfortable is where you're feeling your NEED to be RIGHT about how difficult it is or about how someone else is treating you. So just be HAPPY in the journey out of your NEED to be RIGHT! We can be WRONG once in a while and be REALLY HAPPY! It's not something that feels great right away...in fact, it feels kinda crappy to accept the fact that we're not RIGHT. It felt really crappy to me...it still does sometimes, to accept the fact that I'm not RIGHT! My body does not like to be WRONG, especially in relationships. It feels like anxiety and anger and resentment...but it has nothing to do with the other person in the relationship. It has everything to do with my desires and my NEED to be RIGHT. However, being RIGHT or being WRONG is not the answer! Being open to opportunity and possibility is the answer. The challenge of accepting being WRONG is dealing with the shame, guilt and fear of not being RIGHT. So, what would your life look like knowing that beyond being RIGHT about your current circumstances are the possibilities of being wealthier, healthier, happier and more passionate TODAY? Since this is the case, wouldn't you therefore prefer to be WRONG? I have had 6 jobs in my life, all of them lasting more than 2 years, one as high as 7. And in each and every one of them I have only risen to a level where I began working for a boss I just couldn't stand. Even my current job. So why continue to put myself through this? Clearly the universe is trying to tell me to do it myself, to be my own boss. But what can I do? My passions are watching/playing sports and acting. Acting is hard to get paid for unless you're "lucky" and I'm too old to get back into competitive sports, let alone train enough to be good enough to get paid. What can I do? I have no talents outside of doing what I already know how to do. What if I try something and all my friends and family think I'm an idiot for doing it. Or worse yet, I do it, it fails, then I look stupid and I've wasted a ton of time and money that I could have been spending on my current job...which I really don't enjoy anymore. Sound familiar? These are the voices in our heads keeping us from growing, evolving, and having a life that we love to live! We can't blame those voices though. They're doing their job. Their job is to keep us safe. And comfort is safety. We've evolved past needing to constantly be on the lookout for predators or hiding in caves for safety so our minds have evolved to protect us from "possible" harms emotionally and mentally. The voices don't have to control our lives, though! We have a secondary mechanism in our minds - consciousness. We can actually choose to override these voices and do whatever we want. Most of us get around 80 years to live this life. Most of us let the voices direct us. In every moment we are making a choice: to allow the voices to win or to take action in spite of them. Will these voices ever go away? No. They will adapt and evolve and grow so that when we adapt, evolve and grow they will try to keep us down, keep us comfortable at that next level. But we WILL BE AT THE NEXT LEVEL! Take one step in the direction of your chosen future today. Just one. Feel the power, the excitement, the desire for more it gives you to accomplish it, no matter how small. Embrace that feeling...and tomorrow read this again...and take another step. 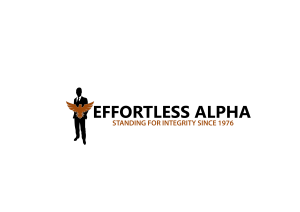 Find out if the Effortless Alpha Protocol is the right fit for you. 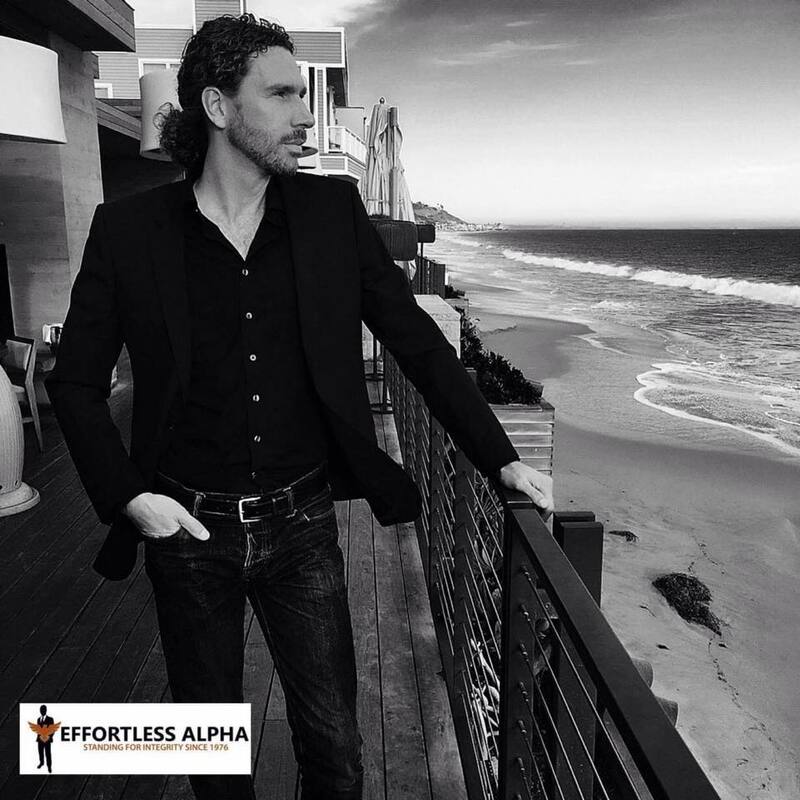 Reach out to kscott@effortlessalpha.com to see how the Effortless Alphas can give you endless support. The Effortless Alpha Protocol empowers men to have the freedom to live a life of integrity. To me, that statement means everything. There are many different ways to interpret it depending on one's definitions of "empower", "freedom" and "integrity". Allow me to break it down so anyone can better understand my purpose for the Protocol. "Empowers men..." means giving unending, unparalleled and unwavering support. Men that are a part of the Protocol are actively making changes in their life; big and small, in business, in relationships, and most importantly, in themselves. It is the topmost priority and, dare I say, duty for every other Effortless Alpha to provide the type of support they would want or more. It is in the force created by a power circle of men that a singular man can and will find the most encouraging and uplifting energy to make the changes he desires and continue to maintain them while growing and teaching other men to do the same. "...to have the freedom..." means to feel like they are able to make the changes they desire. As men we take on the responsibilities of many, whether they are real or not. Many times we will get stuck in a career because it's something we're good at and its consistently bringing in income. We can even get stuck in a relationship we don't truly care for because we've associated the feeling of significance with love. I want to be clear here, the Effortless Alpha Protocol is not a place where men come to drop everything they're doing and build again from scratch. More often than not the responsibilities in a man's life are real: home, children, family. So it is our mission to either help make a transition into something more in alignment with what they truly want or just increase the level of passion in their lives and bring back the feelings of wants and desires. "...to live a life of integrity." Integrity. This is my trigger word. It gets me fired up, it gives me tingles and it makes me angry. It fills me with excitement and sadness. Why the juxtaposition? Being in Integrity and hearing stories about people who live their lives with ultimate integrity get me completely fired up and leave me wanting more! People who do not live in integrity I feel sadness for. People who directly affect my life in a negative fashion who are not in integrity get me very angry. Also, if I am not in Integrity I feel an intense discomfort in my chest and stomach, to the point of anxiety sometimes. This is how I know it's my passion word. I've done a ton of research and interviews on the word integrity and how people view it. My definition of integrity is to always be in alignment with your moral values, with what you're trying to achieve in life, be honest and forthright in your communications. A lot of people explain it as keeping your word or just doing what you say you're going to do. I find that definition lacking. As long as I'm honest and forthright in my communications I can de-commit from something I said I was going to do because I'm still in integrity with my values. There is only one person that holds me back from being the best version of myself and that's me. There is only one person I have to be better than and that's who I was yesterday. 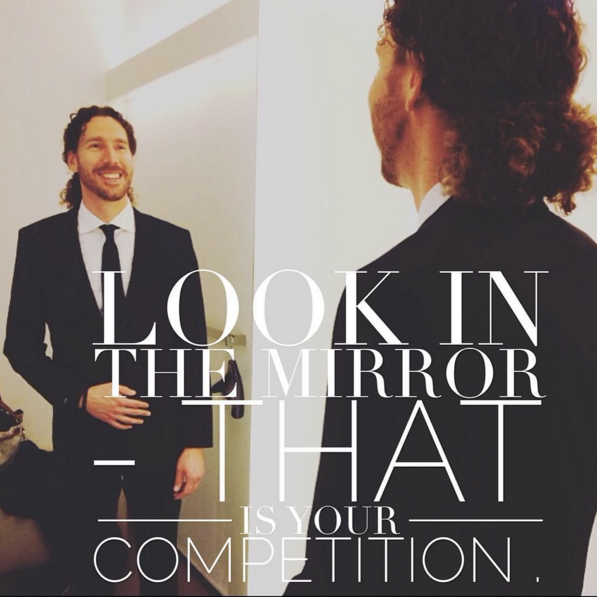 I look in the mirror and I see my competition. If you have any questions about how the Effortless Alpha Protocol works you can both check out our website at www.effortlessalpha.com and email me at kscott@effortlessalpha.com. Thank you so much for taking the time to read this. I hope you've been inspired!